When you align with the #1 real estate brand you make news headlines. Here are three of our most recent newsworthy accomplishments. Download the images and use them in your next marketing presentation or share as part of your social media strategy! 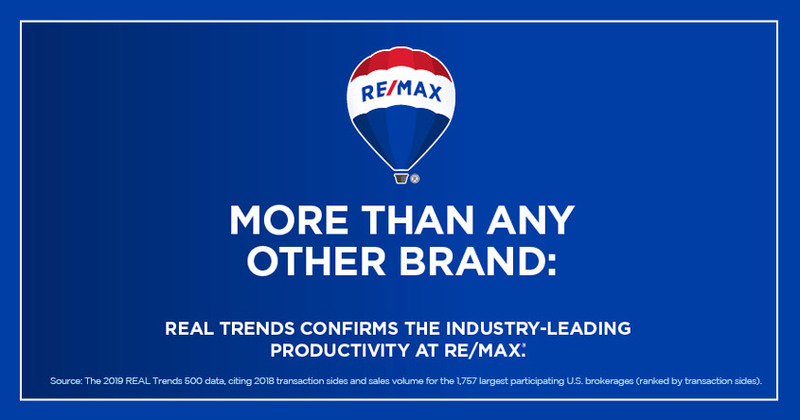 RE/MAX agents continue to lead in productivity! 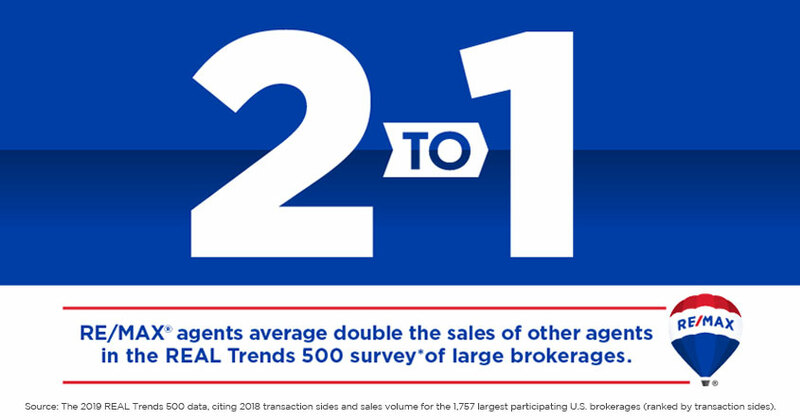 According to the REAL Trends 500 survey, RE/MAX agents averaged 16.3 transaction sides, while agents with all other brands averaged 7.1. For the 9th consecutive year, RE/MAX had more brokerages qualify for the REAL Trends 500 than any other brand. Of the 1,757 participating U.S. brokerages that closed more than 500 transaction sides last year and qualified for the annual report, 559 are with RE/MAX.